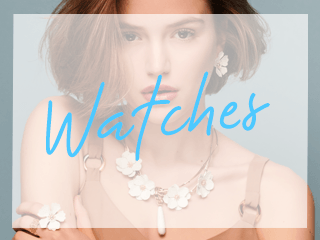 PANDORAs ESSENCE COLLECTION inspires women to express their true selves through symbolic charms which emphasise inner values, hopes and desires in life. 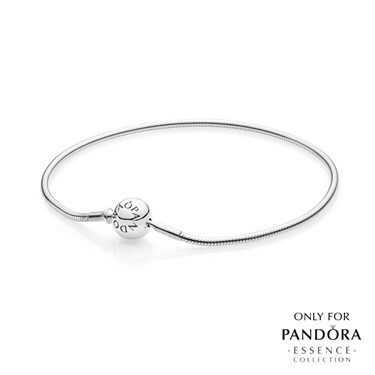 This slender sterling silver bracelet has been specially developed for the ESSENCE COLLECTION, featuring a snake-chain and a rounded barrel clasp with an engraved PANDORA logo. Express the ESSENCE of you! Tip: When measuring the correct bracelet size, you should be able to fit one fingertip underneath the bracelet. With use, the snake-chain bracelet will expand quickly leaving room for more charms. 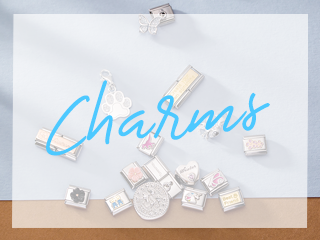 Due to the unique functionality of the concept, the charms can be placed anywhere and will stay securely in place. The standard size for the ESSENCE COLLECTION bracelet is 18cm. * This bracelet is specifically designed for PANDORAs ESSENCE COLLECTION and is not meant to be used with PANDORA Moments charms and vice versa. Create your own unique design simply by incorporating the ESSENCE COLLECTION charms. I got this bracelet for free with purchase of other Pandora jewellery and I must say I love it more than the standard Pandora bracelet! What I love about it the most is that is lightweight and the charms are specially designed to fit this bracelet and they're staying where you want them to stay. I love it! 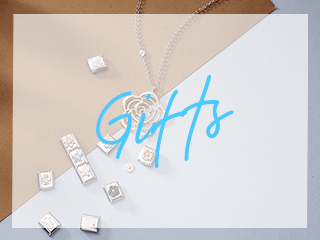 The essence collection is very elegant and not has heavy compared to original pandora charms. I also much prefer that the charms don't move freely around the bracelet, but stay were placed. This was a wonderful give-away when my aunt spent £100.00 on her necklace combination. She is thrilled with it. Quick delivery bought for my friends daughter's 21st she is very pleased with it. Very pleased with bracelet and it arrived in record time. Hi. I m just wonder the lenghth of 18cm, should include the lenght of ball?? Hi can you tell me how the pandora essence braclet opens and closes?